On this day it is customary to make creative jokes about other people which we hope will be received with humor. In Europe there are many great traditions of how to celebrate this day. However, in Spain this day is not celebrated as usual on the 1st of April, but on the 28th of December. The so-called “Day of the Innocent”. Only Menorca celebrates the 1st of April according to Anglo-Saxon traditions. In France (“poisson d´Avril”) and Italy (“pesce d´Aprile”) the situation is a little bit different. There you usually hang secretly a paper in the shape of a fish on the back of unsuspecting people. 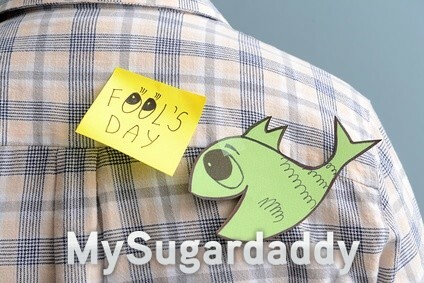 That’s why this day is also called “April fish”. On the other hand in Germany they prank someone and afterwards they say “April April”. The first and most famous dates back to the 16th century. It is said that at that time, i.e. before the transition to the gregorian calendar, New Year was celebrated from 25 March to 1 April. In 1565, at the request of King Charles IX of France, the calendar was moved from 1 April to 1 January. However, the French and American colonies very slowly implemented this measure and continued to celebrate the New Year in April. Therefore he called them “the fools of the month April” (April Fools). The second theory refers to the good mood and the change of seasons. When people change from cold grey winter days to colourful spring days, they naturally get a better mood. That’s why they prank others and have fun laughing. Since the internet has become a fundamental part of our daily lives, much fun has been made of the Internet. In recent years, it has been common for various companies and brands to prank their users with funny images or advertisements for fictional new products. For example, a well-known video service on the internet announced that it would no longer accept videos. Another prank was that they launched a platform with videos that are only for cats. A prank was also made by a well-known fast food chain. They announcing that they are introducing a chocolate hamburger, which unfortunately has not happened so far. There are many advantages of a good mood. On one hand, it not only helps us to relax or reduce stress, but also has a positive effect on our social relationships. The most relevant studies regarding this are, for example, one that associates a good sense of humour in a couple’s relationship. In this context, a good sense of humor is not only more attractive to the other, but also sharing a similar sense of humor with the partner brings them closer together. A good sense of humour also helps to deal with conflict and crisis situations during the relationship. Also, a good sense of humour helps us to increase our creativity and the speed with which we think. According to a study in the journal Psychological Science, they learned that people who have lifted their spirit by videos and music were able to solve problems faster, unlike those who did not. Because happiness and humor let them discover other faces of the problems, find a solution faster and block negative emotions like fear.